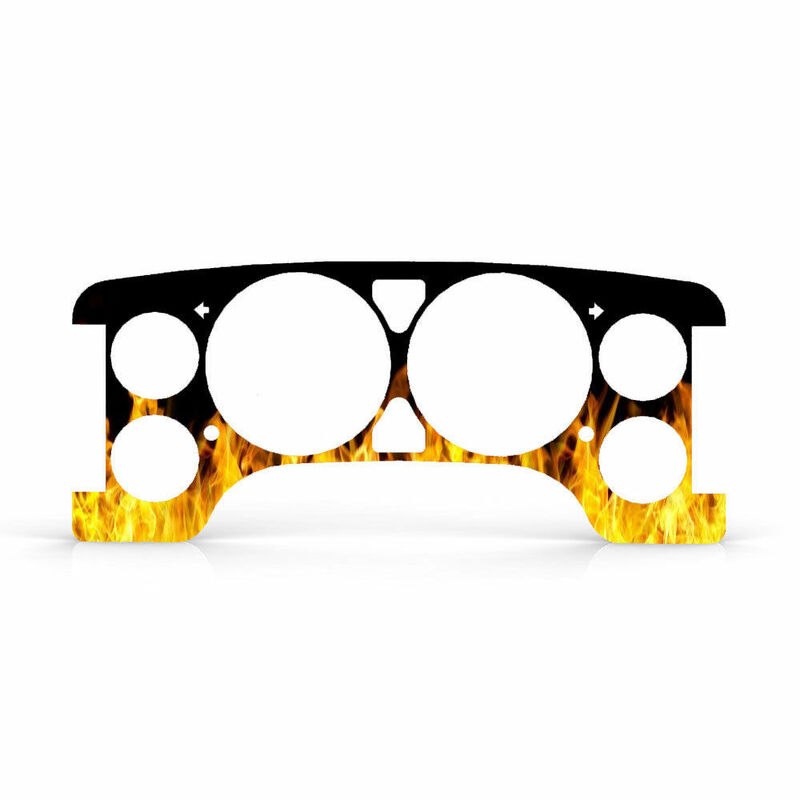 Flamed Gauge Cluster Bezel Trim 02-08 Dodge Ram 1500 Flamed Gauge Cluster Dash Bezel Trim 02-08 Dodge Ram 1500,Flamed Gauge Overlay Trim 02-08 Ram, 02-08 Dodge Ram Flamed Gauge Overlay, 02-08 Dodge Ram Custom Gauge Overlay, 02-08 Dodge Ram Gauge Cluster Bezel Trim, 02-08 Dodge Ram Flamed Gauge Cluster Bezel [BZL-267-Flame-087-01 Overlay] - $35.95 : 3rd Strike Performance, Your Source for Late Model MOPAR Performance Parts and Accessories! Check out this beautiful gauge overlay! Make your truck stand out from the crowd! Available in several different patterns and colors. Choose the one you want to highlight your truck today! Proudly made in the USA, we have the largest selection of gauge bezels available in the world! All bezels are cut to size and computer designed to ensure an OEM guaranteed perfect fit! Gauge bezels install directly on top of your factory gauges (underneath the clear plastic). The installation process generally takes around 30-60 minutes, depending on the vehicle. Basic instructions and tips for installation are included. This part fits: Dodge Ram 1500 from 2002-2008, Dodge Ram 2500-3500 2002-2009.